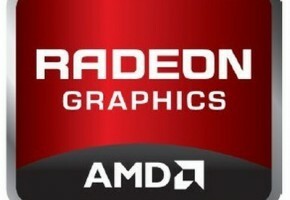 The sub-$100 price in the GPU market may not be of interest to most people who frequent this site but much of the sales volume for both AMD and NVIDIA come from this crucial segment. Currently, there is no shortage of choice for value minded consumers with cards like the HD 5670, HD 5570 and newly released GT 440 vying for attention. 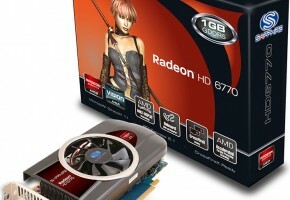 AMD is now bringing their HD 6000-series to more affordable price points as they finish a complete rollout of refreshed architectures. While the HD 6450 was introduced a few weeks ago, today we finally get a good look at two cards brandishing the new Turks-series core: the HD 6670 and HD 6570. 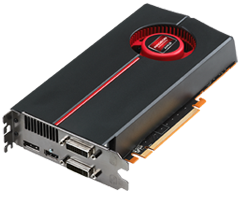 These cards aim to improve upon their predecessors’ gaming performance while retaining AMD’s lead in areas like high definition playback multimedia integration. Neither will likely be popular as a stand-alone card for people who like building custom gaming rigs but they will prove to be invaluable for large system builders and OEMs. For those of you hoping for something drastically different from the current crop of entry level graphics cards, there’s disappointment waiting in the wings with these new products. 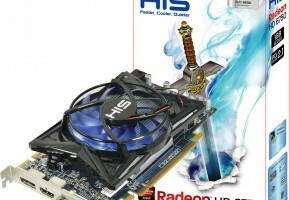 Both the HD 6600 and HD 6500 series are based off of the Turks architecture which is a slightly revised and expanded version of the outgoing Redwood design. As such, most of the specifications stay the same but the number of SIMD arrays has expanded in order to incorporate 20% more steam processors and four more texture units. This should help differentiate these new parts from the outgoing ones in certain situations.